Blurb: Catch Canucks fever and celebrate 40 years of Vancouver Canucks hockey! This must-have collection - jam-packed with puzzles, crosswords, games, trivia, facts and fun for towel-waving fans of all ages - will have you Luu-ing and riding your stick like Tiger Williams in no time. 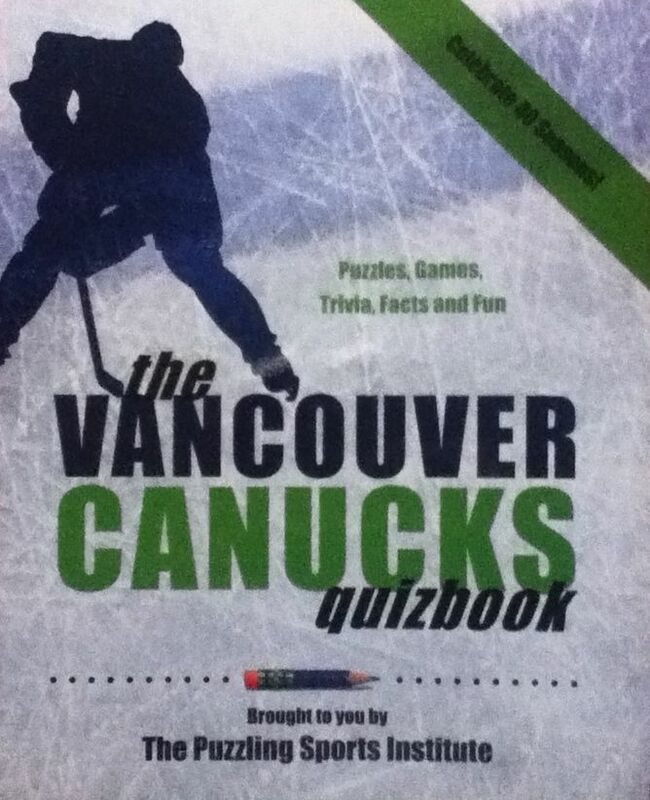 From Harold and the Steamer to Gino and the Russian Rocket, from Thomas Gradin to the record-setting Sedins, from Trevor Linden and the '94 Cup run to the high-scoring Westcoast Express, it's all here in this exciting trivia book that will bring hours of fun and memories to every loyal Canucks fan.